Launching a new business can be thrilling but obviously needs a lot of research and planning. Many believe that the belief ‘start a business and reap profits’ do not work in the real world. The overnight success stories are usually the result years of hard work. In simple words, marketing for startups is a challenging task due to the availability of few resources, whether it is time, money or even talent. Every startup has to ensure that all efforts are carried out in planned manner and executed flawlessly. To make things worse, the traditional marketing strategies are not efficient in bringing results. In fact, effective marketing strategies for startups have the ability to transform the client’s requirements into a desire for a product or even service. Experts claim that marketing for startups do not comprise of traditional marketing strategies. This new genre focusses on properly combining communication channels such as PR and content marketing. This is also one of the reasons why PR for startups has successfully gained so much of traction. When creating a marketing plan, every startup needs to ensure that proper market research has been carried out. Decide who the target audiences are. Find details such as age, lifestyle and income levels. When a startup will know intricate details about the target audiences, taking decision in regard to advertising expenditure will become easy. Additional details such as customer expectations, recent statistics and purchasing trends, surveys and reports, will work as an added benefit. A domestic retail business will take up a localised approach in comparison to a startup focussing on tapping the global market. Understanding the requirements of target demographic will make your startup create a quick effect. Keeping a close watch on your competitors is an essential part of a business, comprising marketing. Understand what kind of marketing techniques are being used by your competitors. Carry out an evaluation of the strengths and weaknesses. Stress on finding out what are the value competitors are displaying in their advertising. Thinking that lowering the price will help you beat competition is incorrect. It is essential that every startup considers the varied facets of costing so that profitability can be judged in the later days. Funds need to be spent on raw materials and R&D. Among the varied marketing strategies for startups, this one can do wonders if properly implemented. For instance if you have just launched a brick and mortor workshop, undertake a grand opening to ensure free publicity for your business that will help you get noticed. Every startup aiming to create a long lasting impression on the minds of the customers should focus on developing a brand. Create a professional logo will be helpful to project your brand at a global level. Ensure that this same logo is being used at varied places such as ads, business cards, website, etc for easy identification. For any startup, bringing on board those first clients is a tough job. Join trade bodies and local organizations that will help you get noticed in the community. Interacting with other industry players is a part of the learning curve. It will also help a new venture to understand the needs of the customers in-depth. Creating a web presence for any size of business is an absolute must. Becoming social is a crucial market strategy for startups. 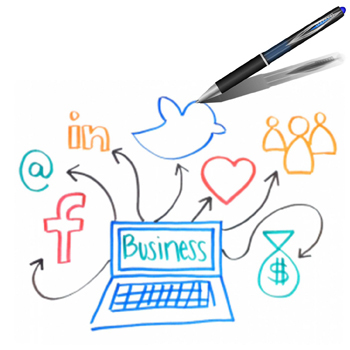 Make use of varied social media platforms such as Facebook, Twitter to create free awareness about your startup. Moreover, there are many free listing websites for businesses that can be used by startups to promote their online presence. Startup marketing is a tough nut to crack. Some excellent ideas fail to bring results due to the absence of media attention and client awareness. Poor strategy can also be one of the reasons for failure. The elusive secret to startup marketing success is to identify the spot between content marketing and PR. If you are still thinking how to make your startup a successful venture, get in touch with us and sort your marketing problems in a jiffy. With different companies out there, having a solid marketing strategy is absolutely essential. Without an effective small business marketing strategy, your company will not be capable of bringing in new business. This is because no one will know your business exists. So, create a marketing plan today and make your business stand out. What a marketing plan can do for your business? – Create image of the company. – Develop client base for up-selling. – Strong advertising messages to set your company apart from competition. – Understand the best marketing mix strategy for your company. I agree that starting a new business takes a lot of hardwork, research and planning. The marketing portion of any business plan is an important part of the overall business strategy. Successful marketing methods help transform a client’s requirements into a desire for any product or service.